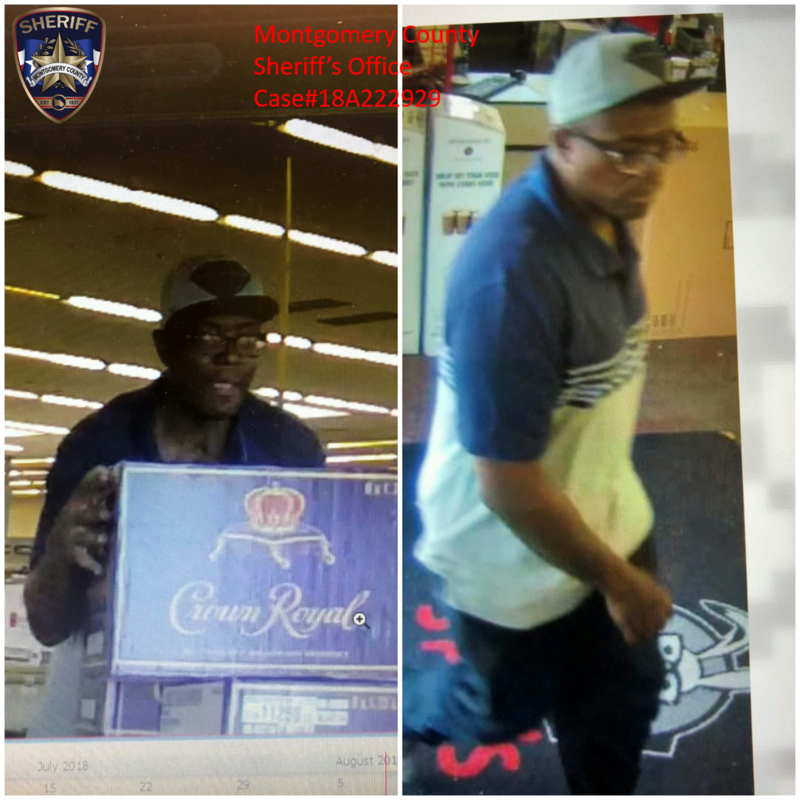 On August 8, 2018, Deputies with the Montgomery County Sheriff’s Office were dispatched to the Specs Liquor Store located at 25010 IH 45 N in reference to a theft. When Deputies arrived they learned that the below pictured black male suspect had entered the store about 11:30 am, and got a basket to shop. The suspect loaded 4 cases, 24 bottles of 1.75 Liters of Crown Royal into the shopping cart and ran out the front doors. The suspect loaded the 4 cases of Crown Royal into the car and got in the passenger seat of a silver mid-size car and fled north on the frontage road of IH-45. While on scene, Deputies learned that this same suspect had stolen from another Specs Liquor Store in Houston on August 7, 2018. Anyone with information regarding this suspect or crime is asked to the contact the Montgomery County Sheriff’s Office at 936-760-5800 or Crime Stoppers at 1-800-392-STOP (7867) and refer to case#18A222929.